Permaculture is the first system of conscious functional design in the world. It proposes a paradigm shift in the whole way we relate to nature and so human settlements; the design of the houses, the ways we organize everything in society. Before we dive in further, let’s learn a little of how the permaculture way of thinking developed. In 1968, a group of scientists, economists, educators, industrialists and civil servants from ten countries gathered in the Accademia dei Lincei in Rome to think about the world’s long term problems. That group will later be famously known as The Club of Rome. After a series of meetings, they undertook an ambitious project they called the Predicament of Mankind. The intent of the project was “to examine the complex problems troubling men of all nations.” Among those problems was poverty in the midst of plenty, degradation of the environment and loss of faith in the institutions. The team was directed by Dr. Dennis L. Meadows and resulted in the writing of a book titled The Limits to Growth (Meadows, 1972). The outcome was simple yet puzzling: we cannot have infinite growth on a finite planet with finite resources. Conventional agriculture has been driven by profits and imposed on nature to maximize returns. This brought everything from clearing fields (cutting down trees, destroying the health of the soil) and planting only one crop on a vast surface, also called a monoculture. We are saw the introduction of chemical fertilizers and genetically modified crops. This practice, born out of the Green Revolution, at first made great achievements in fighting hunger after a devastating second world war. But it has ultimately led to a highly significant loss of soil fertility and biodiversity. Most of all, because it is based on fossil fuel energy – a finite resource – it is unsustainable. Consequently, it threatens the future of food and more generally the population of our planet. 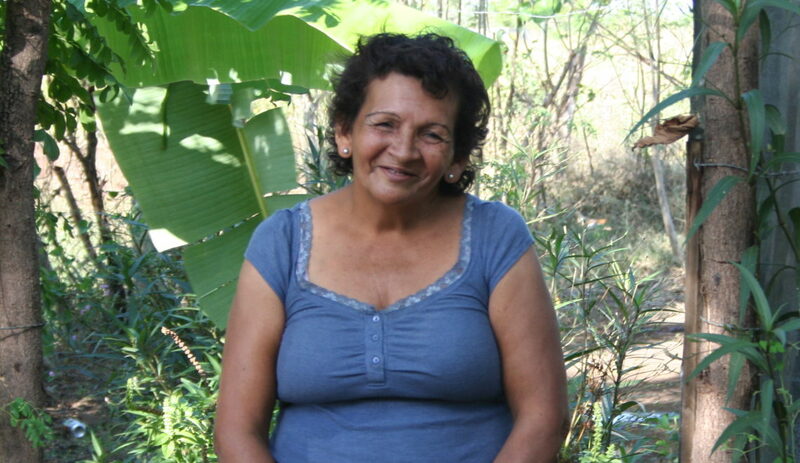 Permaculture works on different principles which work with nature rather than against it. The concept is simple: by supplying every component of your system with its needs and by using the result of your work (no waste) – as nature does – you can work less (energy efficiency), yet have abundance. There will then be surpluses you can fairly share and/or exchange for goods and services. For example, to apply permaculture to soil fertility there are several stragetic design elements. First, you should observe the slope of your land and take advantage of it to conserve water in an aquifer. 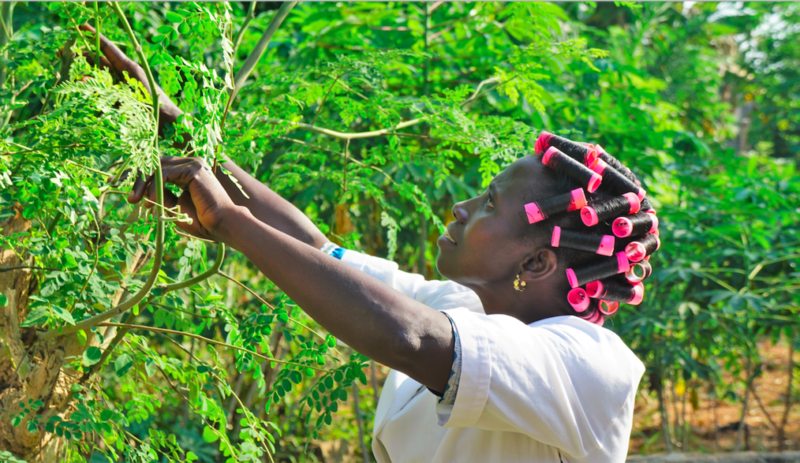 Then, you can build a canopy and food forest using perennial trees that produce and store energy for your consumption. 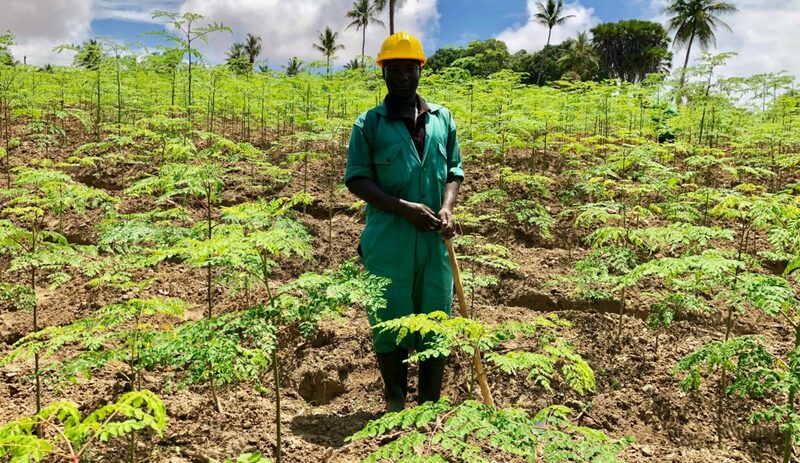 Finally, planting nitrogen-fixing plants like moringa will enhance the fertility of your soil while you can also use their leaves for your own supply of high quality and bioavailable nutrients. In short, just like in nature, everything is interacting and is interconnected. The Amazon rainforest doesn’t need any fertilizer yet it is highly productive. Permaculture is a great vision that uses modern design thinking and ecological concepts to propose a design system for sustainable land use and sustainable living. 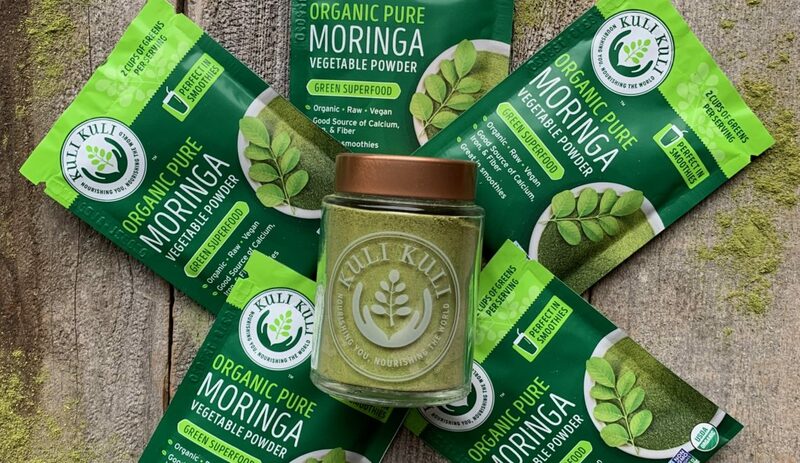 It’s a smarter and healthier way to live and we are so happy that moringa can play a part! Cheikh Thiam is the co-founder of Jokko, a senegalese grassroots organization that promotes Permaculture principles and its application through the creation of ecovillages and social businesses since 2011. Currently studying at the University of Gastronomic Sciences, he is passionate about systemic design, natural building and sustainable food systems. Cheikh has a background in Supply chain management, and wants to promote the operation of healthy dynamics between urban and rural areas through functional systems design thinking and circular economy. He is a leader in the Slow Food movement in West Africa and have participated in many international events regarding sustainable food systems, social entrepreneurship and permaculture. Cheikh Thiam is also a traveler, a lover of the universe, and believes spirituality is the key to overall well-being of humans and more generally of the planet.